Did you know we offer the services of a professional dog groomer at Fox Valley Animal Hospital? And that this service is open to the public, not just our pet patients? Now is a great time to book your dog in for some time with our professional groomer at the Pooch Parlour. With a change from winter to spring coat, your dog will shed. Dog grooming may seem like a lovely thing to do if you want a stylish looking dog, but it also has some very important animal health benefits. Here are several important reasons you should choose the dog groomer at Fox Valley Animal Hospital. Living close to bush and in Sydney means we see an awful lot of paralysis tick cases. Ticks can pull down even the most mighty and healthy of animals in a matter of hours.Fleas also create their fair share of discomfort and can lead to all sorts of problems through skin irritation, infection due to scratching and sleeping problems in infested animals. Always make sure you use vet approved flea and tick prevention to ensure maximum coverage for your dog. We recommend Advantix and a Scalibor collar as they are the most reliable and safe treatments. But even with the best possible prevention, there remains a potential for flea and tick issues. And one of the simplest ways to help keep any issues to a minimum is to maintain a coat that is easy for you to keep an eye on. And that means proper professional de-shedding to make your coat checking and brushing jobs easier. We’ve recently blogged about dogs and heat stroke so we won’t repeat ground again here. But needless to say a trip to the dog groomer to remove additional coat prior to spring and summer can really improve your chances of keeping your dog cool. Like humans, dogs can get allergies to all kinds of things. 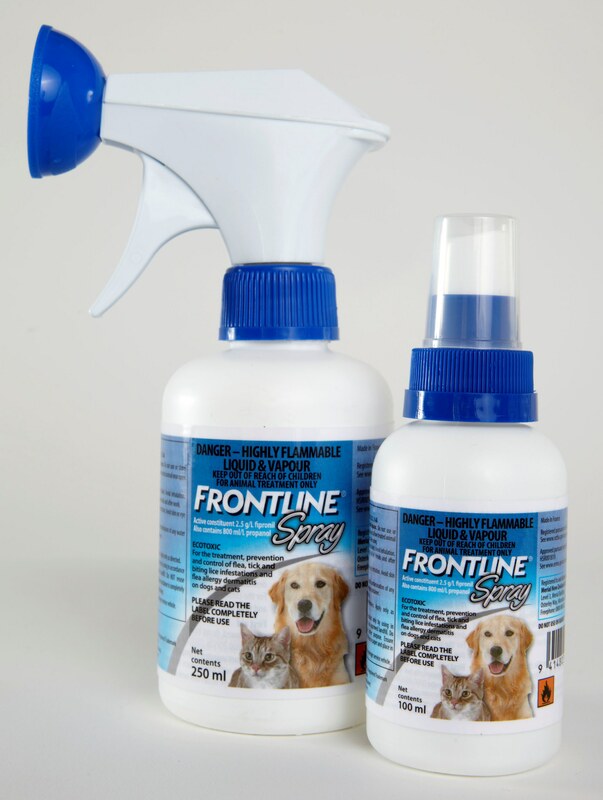 Food intolerances, sensitivities to shampoos and washes, house and garden issues such as inhaling dust mites, pollens, mould or plants and weeds, contact allergies and of course, flea irritation can all play havoc with your dog’s skin. When dogs have an allergic reaction, they usually break out in hives and/or end up with tremendously itchy skin. When dogs itch, they scratch. And so the combination between the inflamed skin and the dog’s own scratching can cause hot spots, rashes and all kinds of skin nasties. By grooming your dog, you minimise the risk of a furry coat hiding some pretty gross and uncomfortable stuff! We train our dog groomer to spot any early signs of disease, inflammation and issues for your peace of mind. And your dog’s skin health. A matted coat not only looks pretty bad, it can be pretty bad for your dog. As you can see from the case of Cheeky the Shi-tzu X, matting can have horrendous consequences. Matting happens if your dog doesn’t get regular, proper brushing. Excess fur becomes entangled and before you know it your dog will be uncomfortable, and look, smell and feel terrible. Part of the reason why Fox Valley Animal Hospital has the Pooch Parlour and a dog groomer on site is that Alex and Katie are determined to ensure ailments related to matted fur are kept to the minimum. All happy, well socialised dogs will get the occasional bite or scratch. Making sure those scrapes, bumps and bites don’t turn into something far more serious can be tricky. But proper groomers shape to your dog’s coat. They know where the burrs and the bites will happen in play time. So being able to have someone tidy areas where bites commonly happen (like behind the ears, on the neck, flanks and rump) can really help. Again, this is something a well trained dog groomer will be on the look out for. 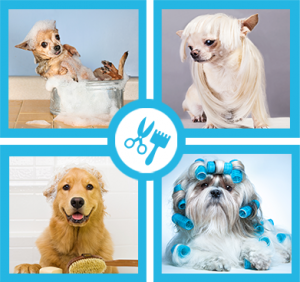 What does dog grooming entail? The skills of a professional dog groomer encompass more than a scrub in the tub. A professional dog groomer will wash and clean your dog’s coat, de-shed the excess hair, trim nails and know how to shape your dog’s coat appropriately for their breed to help with your at-home maintenance. At the Pooch Parlour, we have professional staff who know how to work with nervous dogs, first time puppies, and the dogs who love a good old pampering wash.
We use only the best shampoos and products, and can cater to all kinds of skin conditions and allergies. Plus, we know how to transition a frightened or water wary dog into a dog you will eventually be able to bathe. So don’t let your dog hide potential major risks to their health within additional hair, or keep perpetuating the cycle of an unhappy bath time experience. Get your dog into the dog groomer by booking into Wahroonga’s Pooch Parlour today! 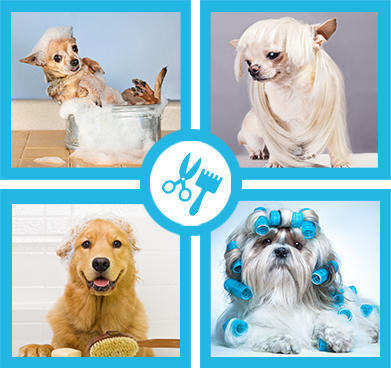 We’re open to the public for your dog grooming needs.